Yesterday when we got home from church, we saw a lot of large, slowly gliding birds. Ah! 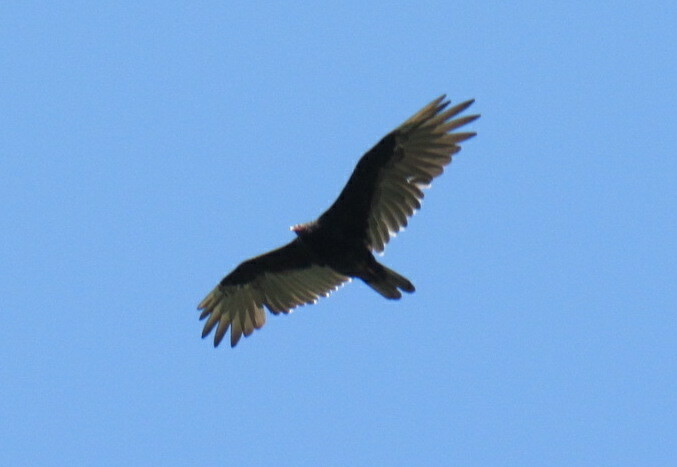 Turkey vultures! There were a bunch of them and they were flying low, right over our car!! Also, a thought came to mind this morning. I wonder if the clean and unclean distinctions in Scripture point to the way things used to be in the garden vs the way things are in a world broken by sin? I'm not sure, but want to explore that a little more sometime.